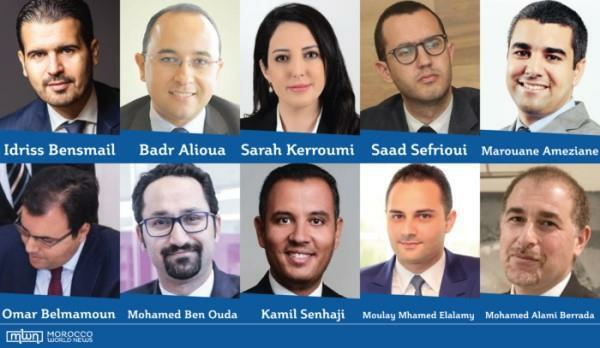 (MENAFN - Morocco World News) ">Rabat- Choiseul Institute has ranked 10 young Moroccan business leaders among Africa's top 100 young trend-setters and leaders in the business sector. Monitored and published by the Paris-based Choiseul Institute for International Politics and Geo-Economics, the Choiseul 100 takes into account nominees' profiles, contribution to country's socio-economic performance, and impact on their communities. Africa's growth has increased measurably in recent years and is expected to continue its overall upward trend by over 4 percent in late 2018 and early 2019, Choiseul said in its introductory remarks, citing figures from the African Development Bank. Mostly in their mid-20s to late-30s, the young leaders Choiseul ranked come from across the continent and have already made their names in various sectors in their respective countries, making them 'references nationally, regionally or continentally' and are 'the reflection and engine of the successful Africa. Idriss Bensmail (8th), deputy manager at BMCI Bank Badr Alioua (13th), managing director at Attijariwafa Bank Sarah Kerroumi (16th), secretary general at Ynna Holding, a real estate company Saad Sefrioui (29th), deputy managing director at Addoha group, a real estate and development company Marouane Ameziane (33rd), chief of staff at OCP, the global leader in phosphates Omar Belmamoun (43rd), cofounder and CEO at Platinum Power, a leading continental energy company with projects in Morocco, Cameroon, Congo, and Côte d'Ivoire Mohamed Ben Ouda (71st), CEO at Palmeraie Development, a Casablanca-based luxury real estate company. Kamil Senhaji (79th), Africa-Middle-East-Asia director at Galileo Global Education, working to diversify and promote access to higher education. Moulay Mhamed Elalamy (86th), former CEO at Saham Assurance Mohamed Alami Berrada (91st), head of employment at the office of the prime minister of Morocco.